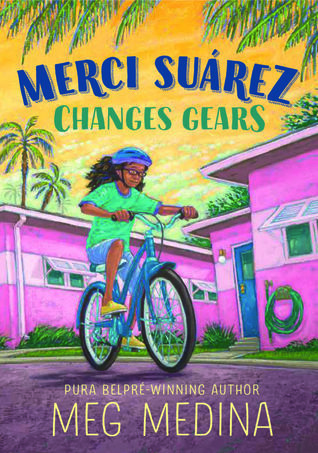 I'm Meg Medina, Newbery award-winning author of the New York Times bestselling novel Merci Surez Changes Gears. I am a Latina author of libros for kids of all ages. I'm about strong girls, tough circumstances, and the connecting power of culture. I am the author of several picture books, middle grade books, and young adult novels, including Burn Baby Burn which was long-listed for the 2016 National Book Award and short-listed for the Kirkus Prize and the Los Angeles Book Prize. I have been honored with the Pura Belpr award twice, an Ezra Jack Keats award, and more. Im a founding member of We Need Diverse Books, and I live in Virginia with my family and my cute dog, Hugo Menendez. The way to my heart is through chocolate, brains, and kindness.